The story: "One night, four children stood in front of a bakery"...you remember, don't you? The Boxcar Children series tells the stories of four siblings - Henry, Jessie, Violet, and Benny. The children are orphans who find refuge in an abandoned boxcar. They are happily living together until they discover that their grandfather has been looking for them all along. They move to his mansion, but their adventures are not over yet! Mama opines: Didn't everyone love this series as a child? 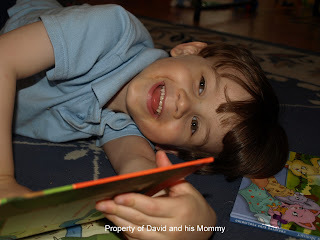 I wanted to start reading these books with David (we needed a break from the Magic Treehouse!) but I didn't have the first book. My best friend lent it to us and we jumped in. We are currently reading our third book, but we are reading a bit out of order. My collection began with the sixth book, so we read #1, then #6, and now #2 and #3 have arrived at our library. I think these books are great for teaching siblings to work together and get along. The Boxcar Children are so incredibly resourceful. Their favorite thing is basically to figure out how to live on their own by finding or building what they need. It's funny though, that when I read them as a child I didn't realize that they were taking place so long ago. But this reading, I realized we were talking about the end of carriages and the beginning of 'automobiles.' It's lots of fun for me the second time around and for David as he experiences it for the first time. Friends, have a very happy Thanksgiving tomorrow. David and I are grateful for each one of our readers who visits us here to read our thoughts about the books we love. Happy Reading and Happy Turkey Day! I wrote about the Boxcar Children last month during a memoir writing challenge. 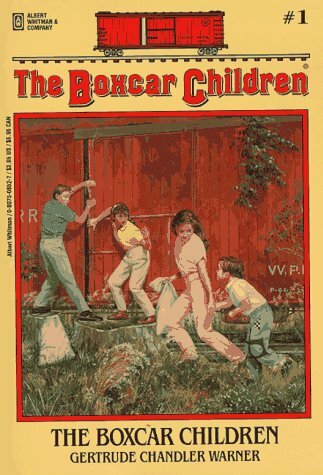 They stood out as a favorite feature of third grade: The Boxcar Children. I hope David is feeling better (I popped over here from your Monday post). That's a little too much adventure for the weekend. Thanks for the link - I loved reading your thoughts about the Boxcar Children! Thank you for your kind thoughts. He is feeling much better, but his face still looks pretty banged up.